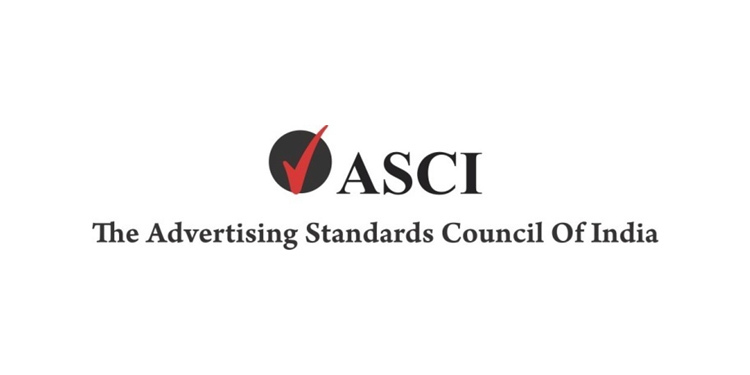 Mumbai: During the month of February 2019, ASCI investigated complaints against 243 advertisements, of which the advertisers ensured corrective action for 63 advertisements once they received the complaints from ASCI. The Consumer Complaints Council (CCC) of ASCI upheld complaints against 145 advertisements out of 180 advertisements evaluated by them. Of these 145 advertisements, 83 belonged to the healthcare sector, 33 to the education sector, ten to the food & beverages sector, one to personal care, and 18 were from the ‘others’ category. Amongst various advertisements that were examined, a significant number of advertisements were upheld for exaggeration of product efficacy and exploiting consumers’ lack of knowledge. This was followed by violations of the Drugs and Magic Remedies Act (DMR Act). A large number of these advertisements were digital i.e. advertisers’ own web-sites carrying the objectionable claims and visuals. For the Food and Beverages sector, the CCC found a couple of well-known brands referring to Ayurvedic or herbal ingredients known for their memory enhancing properties; however, the associated claims were not substantiated. A popular cooking oil was making claims regarding the oil being “Lite” and “Less absorbent” without any robust technical support data. An A-2 cow milk brand was projecting its products to have some unique immunity benefits or miraculous effects that were not substantiated by any scientific rationale or clinical evidence. Additionally, a couple of brands were making improper use of the FSSAI logo implying that the product has been tested/approved/endorsed by FSSAI. This was also in violation of the FSSAI advisory against such use which is not in the prescribed format. 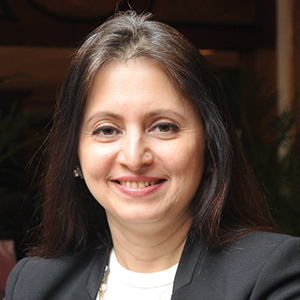 Shweta Purandare, Secretary General, ASCI said,“Over the last one year, in the Food and Beverage sector alone, ASCI’s Consumer Complaints Council examined over 300 advertisements for misleading claims. This was a result of the co-regulation model under which FSSAI had given ASCI a mandate for comprehensive Suo Motu surveillance of potentially misleading advertisements in print media and television. Such arrangement provides a win-win for stakeholders wherein self-regulatory organizations ensure a better advertising ecosystem and the regulators can intervene only when necessary, thus bringing synergies in efficiency”. Parle Products Pvt. Ltd (Parle Magix Biscuit): The advertisement (TVC) shows a kid dressed in the police uniform pulling the trigger and firing a bullet (through an audio cue) at the shopkeeper saying in angry tone “Koi bhi cream biscuit Magix ki jagah chipkaoge”. The humorous TVC, though not objectionable, manifests a dangerous practice, exploits the vulnerability of minors and more importantly encourages minors to emulate the modus operandi of any crime. Gujarat Co-Operative Milk Marketing Federation Ltd (Amul Memory Milk-Tropical Fruit): The advertisement’s claims “Milk with goodness of Ayurveda” and “Contains various Ayurvedic herbs that are traditionally known to boost memory”, were not substantiated asthe advertiser did not provide data of any scientific rationale or published literature references to support the claimed benefits. The claims are misleading by exaggeration. Marico Ltd – True Roots Botanical Hair Tonic: In the advertisement, celebrity Radhika Apte was featured endorsing the product with claims like “Stop new grey hair”, “Jo naye safed balon ka aana roke, jad se”, “True roots ke 100 % natural extracts balonke jadonme jakar melanin bhadaye. 90 days tak regularly lagayen taki safed balon ka aana band ho jaye”, “Safed baalon ka jaldi aana jad se rokiye, with TRUEROOTS.”, “No New Greys in 90 days, get rid of premature grey hairs from the root”.These claims were not adequately substantiated. While the product may cause darkening of grey hair by virtue of Kesh Ranjak ingredients the claims were found to be misleading by ambiguity and implication. The graphic in the advertisement (TVC) and on the pack depicting grey hair turning black was considered to be a misrepresentation of actual product action. The advertisements were in violation of the ASCI Guidelines for Celebrities in advertising and ASCI Guidelines for disclaimers in advertising as the disclaimers in the TVC / YouTube advertisements were not in the same language as that of the voice over (Hindi). One97 Communications Ltd.(PayTM): The advertisement claimed, “Win upto Rs 100 crores of Gold. No KYC Needed. Assured Gold Back on First Transfer”.The claim of “No KYC Needed” is misleading by omission and ambiguity. The second claim “UPI money transfers on PAYTM – Win up to rupees 100 crores of Gold” was not substantiated as the advertiser did not provide evidence of the customers who have benefitted by the said offer, nor any details regarding the modality of the offer. The claim is misleading by omission that the offer is subject to terms and conditionsand is likely to lead to grave orwidespread disappointment in the minds of consumers. One97 Communications Ltd. (PayTM): The advertisement’s claim on their website “Rupees 50,000 redeemable on purchase of diamond precious jewellery with diamond jewellery voucher worth rupees 50,000” was misleading by omission of additional terms and conditions of cashback offer. The CCC was of the opinion that the said terms and conditions should have been stated upfront in the advertisement. The website advertisement is likely to lead to grave or widespread disappointment in the minds of consumers. Honda Moturcycle and Scooter India P. Ltd (Honda): The advertisement’s claim (in Tamil) , “0% interest”, was misleading by omission and failed to mention that the offer wassubject to 50% payment on purchase of the vehicle. The claim is likely to lead to grave or widespread disappointment in the minds of consumers. Vivo Mobile India Pvt. Ltd.(Vivo V11 Pro):The advertisement’s the claim, “Dual Rear Camera with Dual Pixel Technology”, was not substantiated, and misleading by exaggeration. The advertiser did not provide any technical data or test reports for Vivo V11 Pro having feature of dual rear camera with good picture quality. Xiaomi Technology India Private Limited (Mi LED Smart TV 4A Pro 49): The website advertisement’s claims, “7, 00,000 hours of content on Patchwall ”and “7,00,000+ hours of content” were misleading by omission and implication, that it is accessible free of charge. The product feature offering 7, 00, 00 hours of content should have been highlighted as chargeable. Voltas Limited (Refrigerator): The advertisement’s claim,“Vegetables remain Fresh even after 30 days” was inadequately substantiated, and is misleading by exaggeration. Additionally, the hold duration of the disclaimers in the TVC contravened Clause 4 (X) of ASCI Guidelines for Disclaimers. Malayala Manorama Co. Ltd (Quickerala.com): The advertisement’s claims, Kerala’s Largest Online Business Directory”, “Kerala’s Largest Business/Service Search Website”, and “Kerala’s Largest Business listing website”, were not substantiated with any verifiable comparative data of the advertiser’s online business directory with that of other online business directories in Kerala, to prove that they are larger than the rest, in providing online business directory services. The claims are misleading by exaggeration.